Second Home Kitchen + Bar recently rolled out its Spring & Summer menu with some delightful new additions. I stopped in for dinner and drinks to try out some of the seasonal fare. But first up: beer! 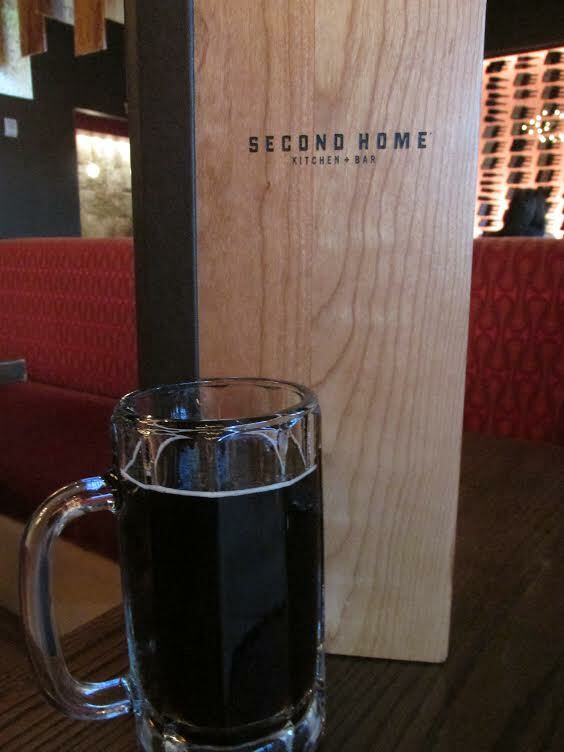 While Second Home doesn’t have any beer on tap, they offer bottles from some of Colorado’s best breweries, such as Great Divide, Breckenridge Brewery, New Belgium, Ska and Odell. I chose Breckenridge’s Vanilla Porter, one of the first brews I really fell in love with as I first started to discover craft beer several years ago. The housemade tater tots were the perfect accompaniment to my porter. The consistency was spot on, they weren’t greasy like frozen/pre-made tots, and the malt mayo was phenomenal! 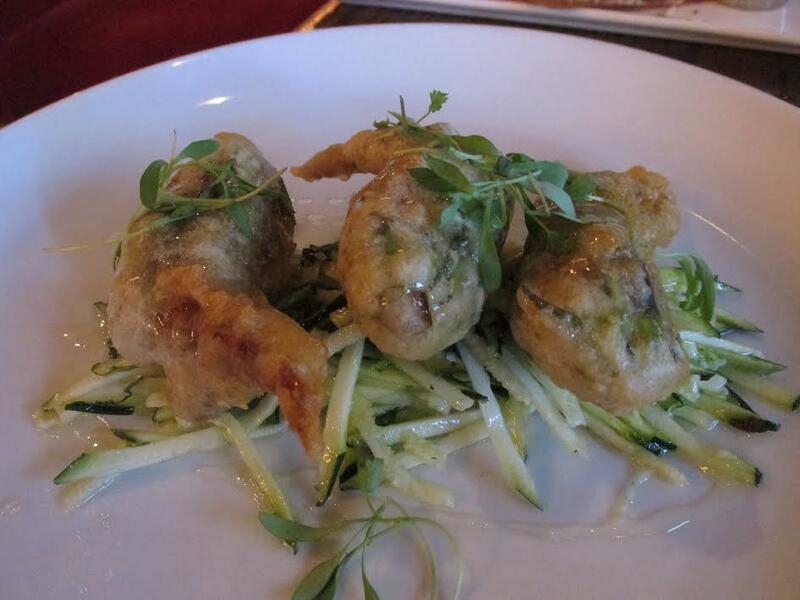 I had tried the crispy squash blossoms at a beer and food pairing event in April (BrüFrou) and was in heaven. Afterward, I looked up Second Home’s menu to see if I could get a full order of this delightful dish all to myself, but sadly it was nowhere to be found. Fast-forward a few weeks, and there it was! Indulging in a plate of squash blossoms made my day! 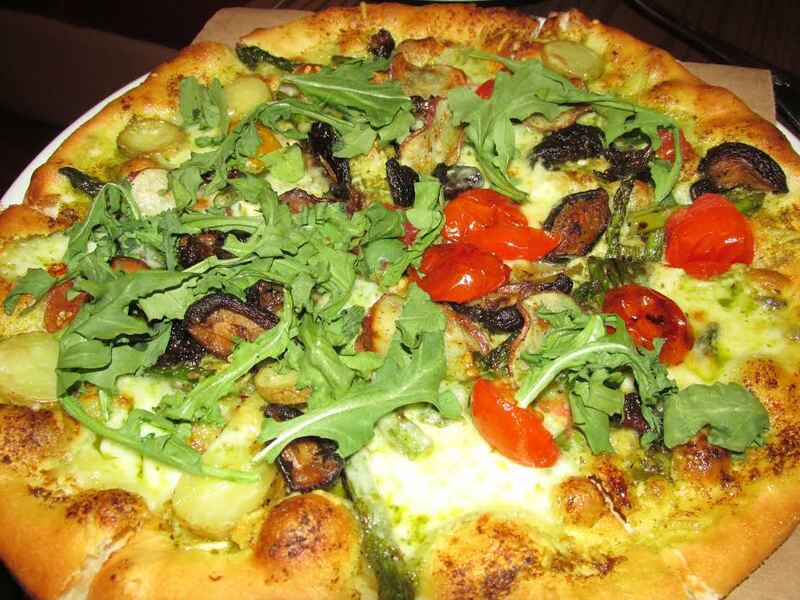 Spring Pizza with grilled asparagus, wild mushrooms, baby red potatoes, pesto, oven-dried tomatoes, and fresh arugula. Pizza is pretty much my favorite food. 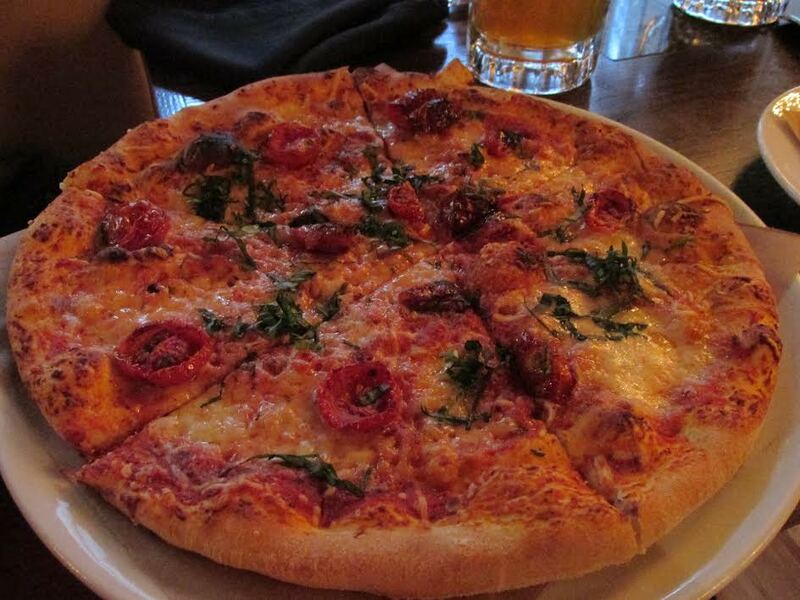 Pizza and beer together–even better! I thought the new Spring Pizza with tons of veggies (grilled asparagus, wild mushrooms, baby red potatoes, oven-dried tomatoes and fresh arugula) seemed like the way to go. However, I also love a more traditional pizza, so my guest got the Margherita Pizza and we shared. Both were incredible. The crispy, slightly chewy crust was just the way I like it. I was very pleased with my experience at Second Home. I must return soon so I can try even more of their menu and check out some of their cocktails. 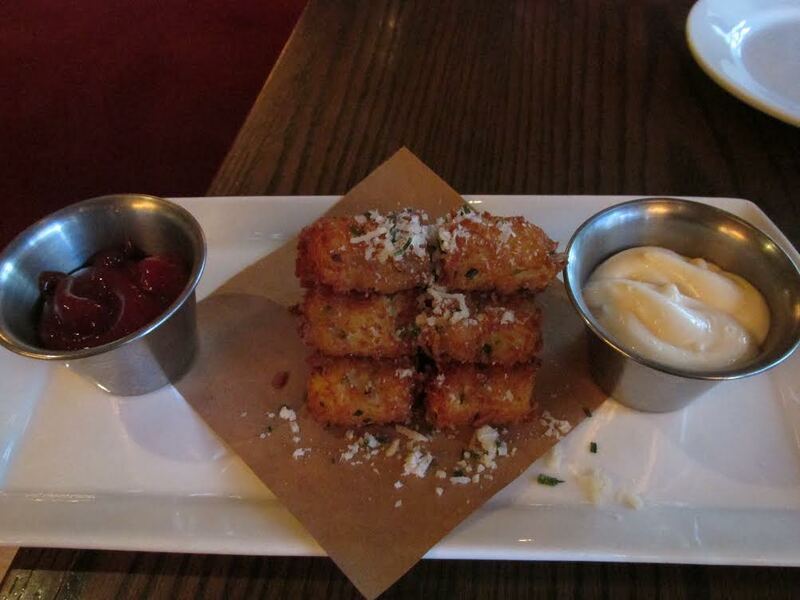 Their Social Hour (4-6, M-F) is definitely a draw, with bites ranging from $2-$8, along with drink specials. It makes me happy to find a new (to me) restaurant where I can order a local beer and get something delicious to eat too. Thanks, Second Home! 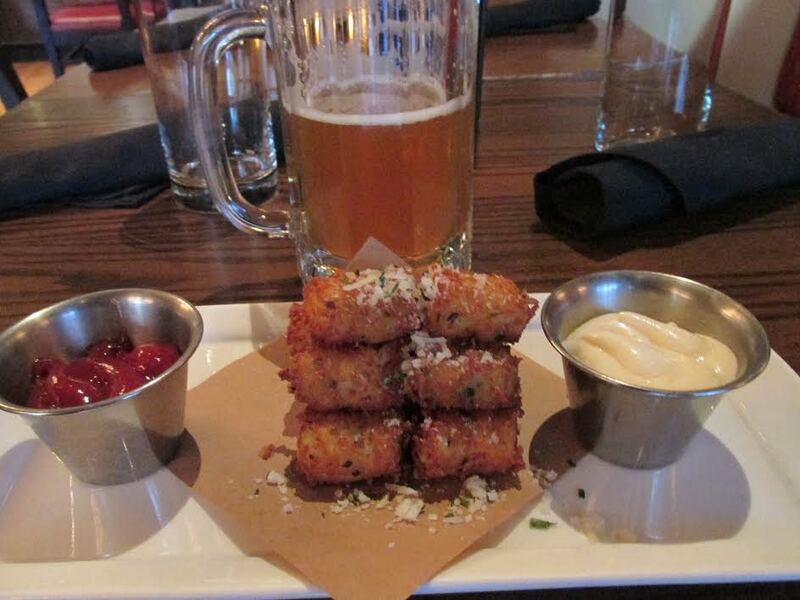 Mmm…tots. With a Union Jack IPA from Firestone Walker. Previous Post Happy 21st, Great Divide! Next Post June Beer Events in Colorado–What a Month!